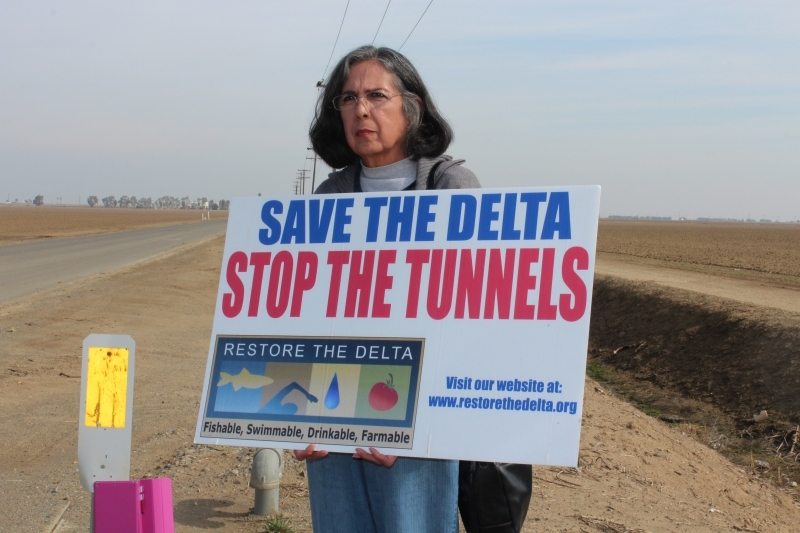 As hearings before the State Water Resources Control Board regarding permits required to build Jerry Brown’s Delta Tunnels continue in Sacramento, lawyers for opponents of the tunnels project filed a motion with the Board on August 11 requesting that the deadline for Part 1B documents to be moved to 30 days after close of Part 1A hearings. Attorneys John Herrick and S. Dean Ruiz of Stockton filed the motion on behalf of the Central Delta Water Agency, South Delta Water Agency, Lafayette Ranch, Heritage Lands, Mark Bachetti Farms, and Rudy Mussi Investments L.P. requesting the extension of time to submit exhibits and written summaries of testimony for Part 1B. in the Westlands Water District. Photo by Dan Bacher. The current deadline for submission of documents for Part 1B of the process is September 1, but the current hearings underway for Part 1A are currently scheduled to continue past that date. The attorneys cited “fundamental fairness” as the basis for their request for a 30-day extension. “As a matter of fundamental fairness and efficiency the hearing team should extend the deadline for the submittal of protestants’ cases-in-chief for Part 1B of the proceeding until thirty days after completion of the petitioners cases-in-chief in Part 1A,” the motion states. The motion notes that the over 1300 pages-long Biological Assessment (BA) for the California WaterFix was issued in late July, so the protestants haven’t had adequate time to review it, even though the BA contains “critical information” pertaining to Part 1 issues. Other protestants are soon expected to join their request for the time extension. The hearing is being conducted in two parts so that the hearing can proceed while DWR and Reclamation complete necessary state and federal environmental documents required by the California Environmental Quality Act (CEQA) and the National Environmental Policy Act (NEPA), and obtain approvals required by the federal Endangered Species Act (ESA), and the California Endangered Species Act (CESA) for the WaterFix Project, according to the State Water Resources Control Board. Part 1 will address the effects of the project on agricultural and municipal uses and associated legal users of water and is further subdivided into Parts 1A and 1B. Part 1A addresses the petitioners’ case-in-chief and Part 1B addresses other parties’ cases-in-chief and rebuttal for Part 1 of the hearing. Part 2 will address the effects of the project on fish and wildlife, including what appropriate Delta flow criteria should be included in any approval of the change petition. Part 2 will also address inclusion of the final CEQA document in the hearing record. 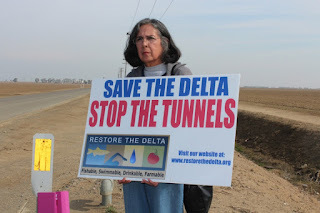 However, the fact that these hearings are even being held is testimony to Governor Jerry Brown's drive to create a “legacy project” before he leaves office, in spite of the lack of any basis in science or economics for the construction of the tunnels. As I said in my testimony before the Board in late July, the California WaterFix is based on the absurd contention that taking up to 9,000 cubic feet per second of water from the Sacramento River at the new points of diversion, as requested in the petition by the Department of Water Resources (DWR) and the U.S. Bureau of Reclamation to the State Water Resources Control Board, will somehow “restore” the Delta ecosystem.